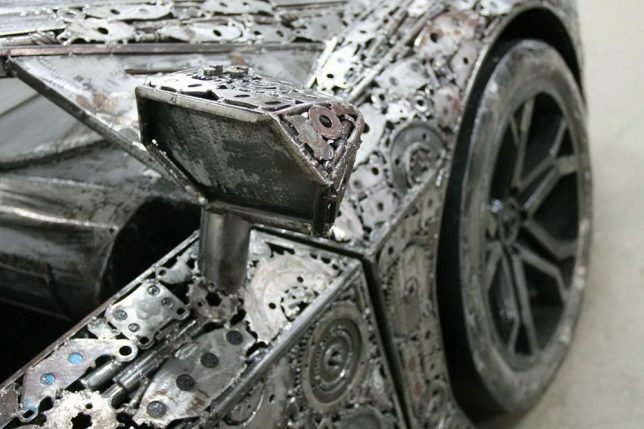 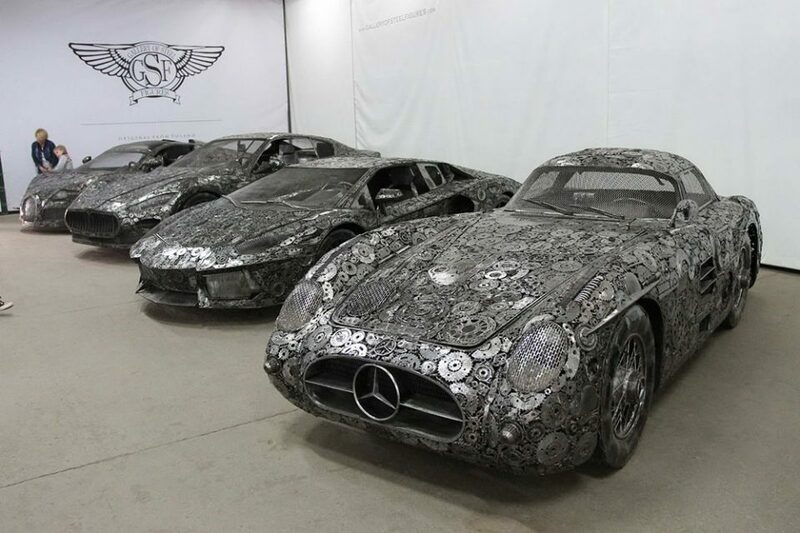 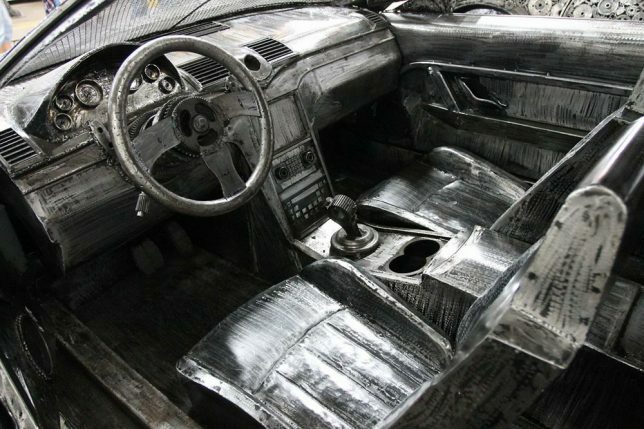 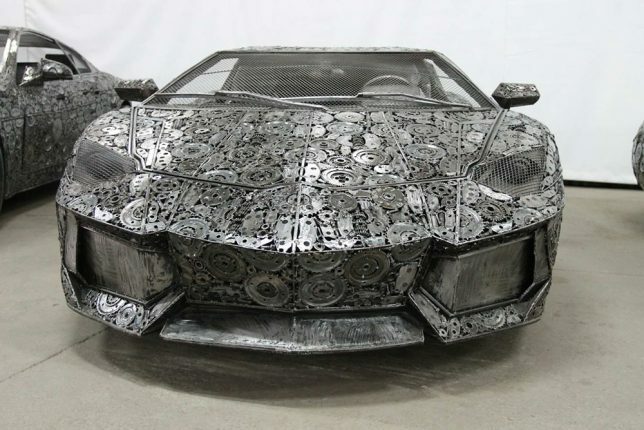 Their body panels consist of a lacework of metal gears, their windshields no more than mesh, their seats steel and the spaces under their hoods hollow, but these life-sized car sculptures still manage to look like they could fly down the street at top speeds at any moment. 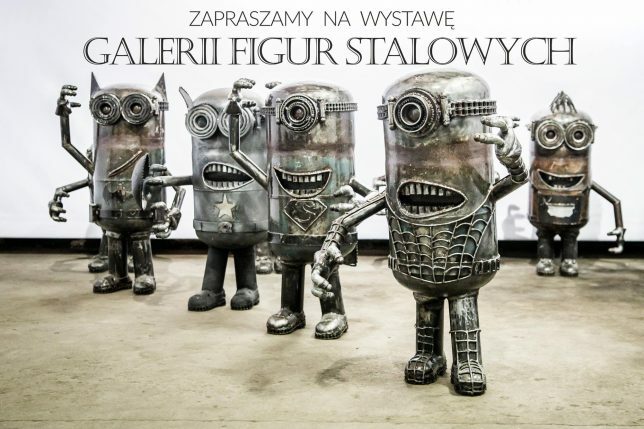 A group of 50 artists raids the scrapyards of Pruszków, Poland for trash they can integrate into their Gallery of Steel Figures, a museum full of impressively lifelike recycled art. 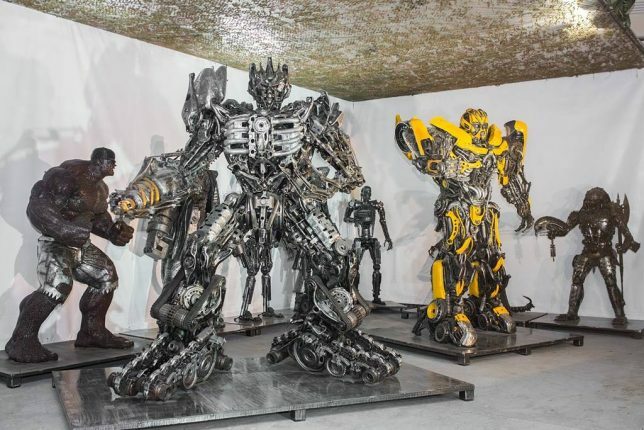 The art collective previously wowed the internet with their sculptural recreations of pop culture figures, including Predator, the Na’avi from Avatar and Transformers. 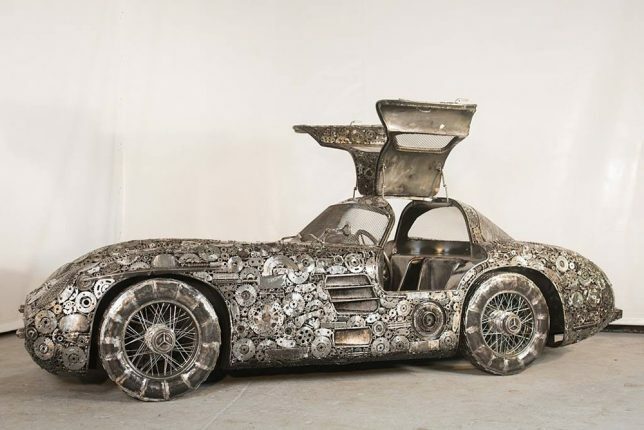 Their latest creation includes faithfully reproduced replicas of iconic cars, including a Bugatti Veyron, Lamborghini Aventador, Fiat 500, Maserati GranTurismo and a Mercedes-Benz 300 SL. 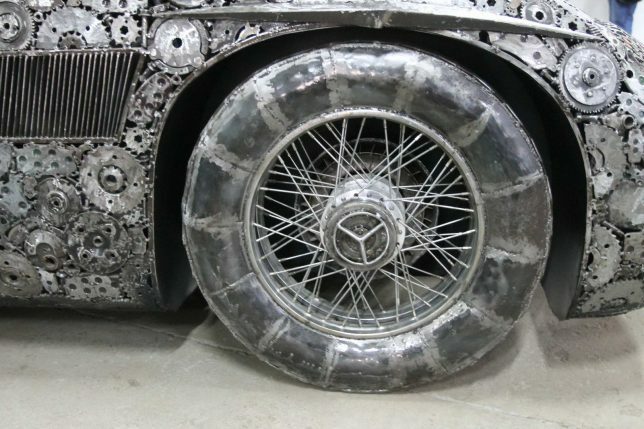 Built to scale with operable doors and interiors that match the originals down to the insignias and dash instruments, the models are made entirely from scrap metal welded into shape. 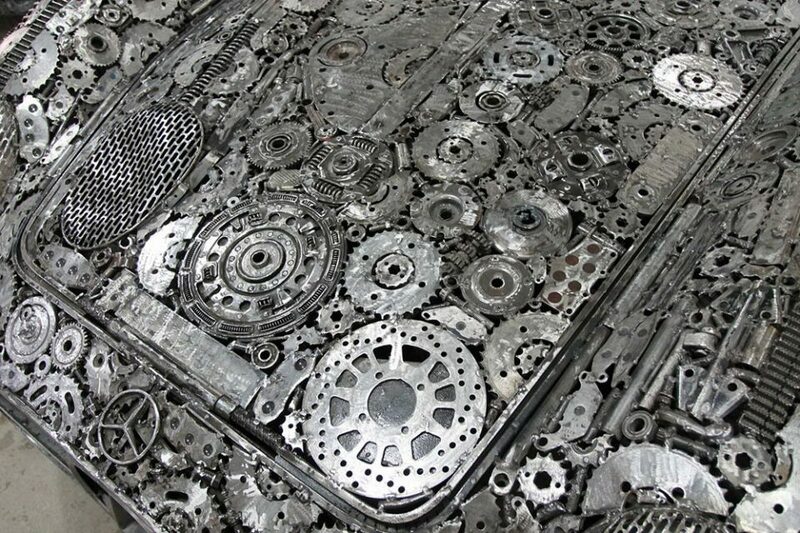 The exposed engine of the Bugatti is a particularly impressive detail. 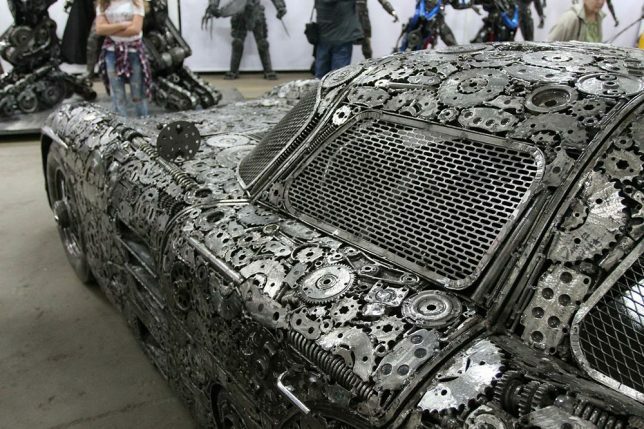 Check out the whole gallery on their Facebook page.